La Ravoire is a luxury camping site nestled within the foothills of the French Alps and only moments away from beautiful Lake Annecy. 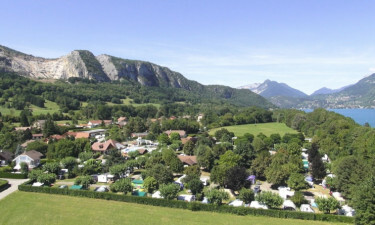 Not only is this an amazing opportunity to enjoy the lush French countryside, but any camping holiday here is taken to a whole new level thanks to the conveniences that guests can enjoy. Please contact LUX-camp to learn more! Why is it a Good Idea to Choose this Holiday Camping Site? 122 tourist pitches to select. On-site restaurants and food provision facilities. An amazing lake that is only moments away. A selection of mobile homes. The sheer beauty of this lake has enabled this region of France to be dubbed "the Venice of the Alps". Its stunningly serene waters are offset by majestic mountains in the background. Guests are always pleased to learn that reaching Lake Annecy takes only moments. This is a perfect spot for a day trip, a picnic or simply to sit back and absorb the sights to be experienced. Visitors to this luxury camping resort are able to access baby changing rooms, wireless Internet and waste disposal facilities. There are also standalone electrical supplies to each individual mobile home. Leisure activities likewise abound, with options available for visitors of all ages and preferences. A large open-air pool is within the centre of this luxury camping site; a great way to spend a relaxing afternoon under the sun. Venturing a short distance away provides additional options including sailing, surfing and bicycle hire. There are many times when a family can be concerned in regards to taking infants or toddlers along. Fortunately, guests here have access to a baby changing room, as well as to a fully equipped laundrette with tumble dryers and washing machines, meaning this location offers convenience as well as luxury. Every building can be accessed by those with limited mobility equipment such as wheelchairs. There is a small open-air restaurant and bar found within this holiday camping site. Patrons are able to order from an international menu while local dishes are also provided. During the evenings and in the summer, live entertainment can be enjoyed here while dining. 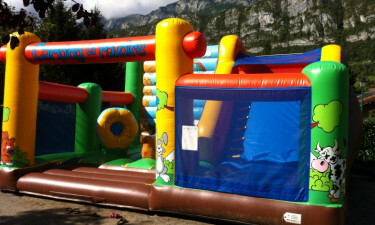 This entertainment lasts until 10 o'clock in the evening; ideal for those who are early risers. Visitors will be happy to note that there is another restaurant found 5 kilometres from this luxury camping resort. This camping holiday is made even more amenable due to the presence of a small shop within the site itself. All basic provisions as well as fresh bread can be purchased here. Camping supplies are also offered. Many will choose to arrive here in the morning for croissants and other French delicacies. The nearest full-sized supermarket is found 3 kilometres away in the town of Doussard. 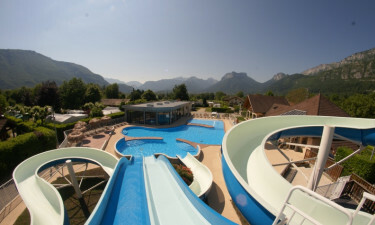 If this luxury camping resort sounds too good to be true, just get in touch with LUX-camp for additional details.